← Like the idea of marketing using articles, but no time? Successful marketing starts with a good headline! If you want to start attracting new customers using ‘digital content distribution’ or ‘article marketing’, you need to understand the basic rules to have ANY chance of success. But, unless we present your editorial content to them in the correct manner, your articles will NOT get accepted. Recent changes by Google have tightened the rules even further, but as a producer of unique content for blogs and websites I am delighted with these changes. They are designed to improve the quality of the information that Google supplies to you when you search the internet. Gone are the days when you could copy an article from another site and use it to supposedly improve your own content. I regularly see articles from other marketing companies that are blatantly taken from American websites. This is good quality content, that is not the issue, but it screams out that you are not generating it yourself and therefore harms your credibility to your UK audience. Making sure that your articles are relevant and appealing to business readers in the UK is vital in gaining trust and in turn, attracting your target customers. Even before getting acceptance to publish your work, you must ensure that the theme, and very importantly, the title or headline of your article is aimed at helping the reader and his business and doesn’t just talk about YOU. Ideally it will solve a particular issue for the reader which has caused or maybe, is still causing him some ‘pain’. This also shows that you partly understand the readers business – a key part of the buying process! As business owners, we are all generally interested in finding ways to improve what we do. But when we are having an issue with one thing in particular, the offer of a solution is always going to be attractive. You won’t reach all the customers all of the time! It is better that your article is aimed at addressing a particular business issue, perhaps in one particular sector, rather than a wider topic aimed at the whole business population of the UK. I have seen so many businesses try to reach too many different targets with each article or message and it ends up not getting noticed by any of them. So, the content of your article should focus on the customers issue. Too many people fall into the mistake of telling the reader as much as possible about their business instead of dealing with the solution to the reader’s problem which was what attracted him to your article in the first place! There are some things that regularly catch attention. People like to learn easy-to-read tips to improve their business and if you have very up to date, sector-specific information it will always be of interest. We all like to see results of surveys about ‘other businesses’. Maybe we’re all naturally nosy, although we all would like to read what our competitors are thinking wouldn’t we? 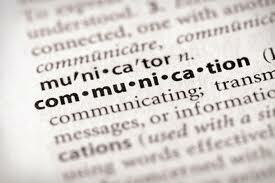 I am presently working on two strategic blog communication projects involving both HR and Commercial Property sectors. These 2 new projects will help businesses within those sectors to ‘leverage’ the benefit of communicating with their collective audience of customers across the North West. For examples of the blogs M3 Media Publishing have created and now manage, please visit: Salon Chat, Business Exposure Group, Thoughts from the Chair and VBM. This entry was posted in Article Writing, Blogging, Marketing, PR & Media, Social Media Marketing and tagged article marketing, article submission service, business marketing, business media, copywriting, marketing plans, PR Cheshire, PR consultants, PR Manchester, PR UK, press articles, raise profile, submit your articles. Bookmark the permalink. 2 Responses to Successful marketing starts with a good headline!